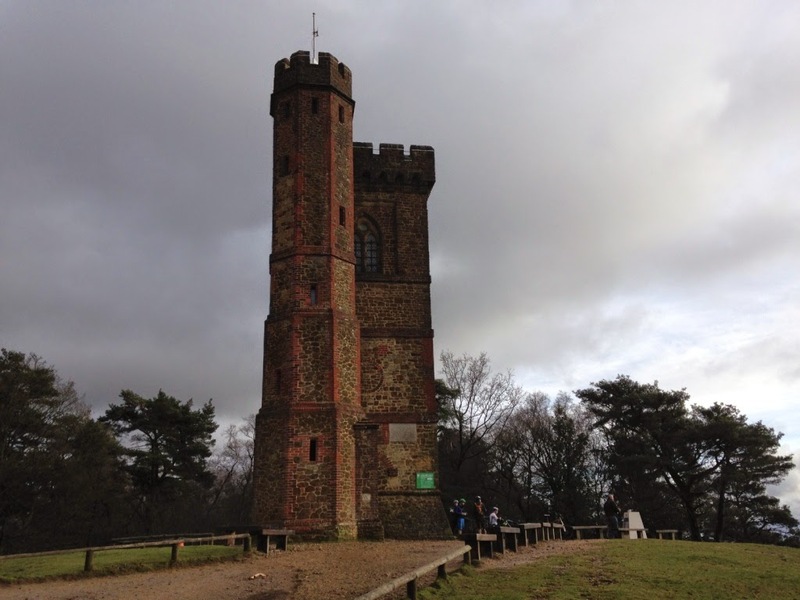 Did you know that Leith Hill is the highest point in South East England? Or that it's an AONB (Area of Outstanding Natural Beauty) and an SSSI (Site of Special Scientific Interest)? Sadly for the purposes of this blog, it's also a NOSCONE (They Have No Scones). But more of that later. Leith Hill Tower sits on top of Leith Hill. It was built in 1766 by a man called Richard Hull. He apparently adored Leith Hill and was so disappointed that it was just 35 feet short of 1000 feet that he decided to build a tower on top to make up the difference. It had rooms and furniture but he was keen to share it with other people - a Latin inscription explained that it was intended for the pleasure of Hull's neighbours as well as himself. Unfortunately, after he died, some of his neighbours thought 'yeah whatever' and removed a lot of the contents. It fell into disrepair and eventually the National Trust took it over. Hull is actually buried underneath it. If you climb Leith Hill Tower, you are apparently higher than you would be at the top of The Shard. Unfortunately I can't tell you much about that because I didn't actually go up the tower - it was too dark. I know. It was pitch dark though, in my defence, and as I literally couldn't see the steps, I feared for my life and gave up. Next time I will make the sidekick go up first in a high-vis jacket. Back to the scones. I honestly wasn't disappointed that there weren't any. The tea and cake at Leith Hill Tower is served from a little window at the bottom of the actual tower itself. It looks like something out of Beatrix Potter - I half expected to be served by a badger wearing an apron rather than a human. Scone fiend that I am, even I will admit that a cream tea is not the easiest dish to serve as a takeaway. And there was an impressive range of other baked options - the sidekick had a tasty flapjack and I had shortbread with a really good cup of tea served in proper mugs. 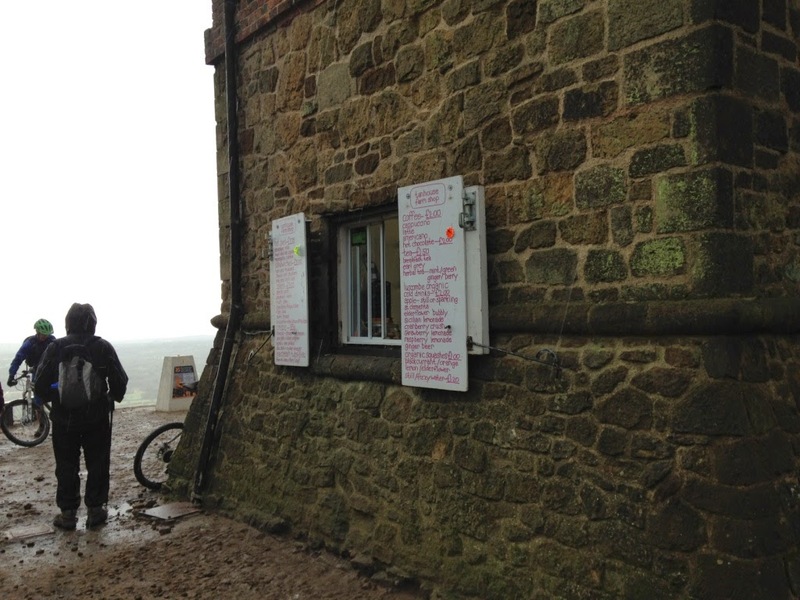 It was also the most efficient National Trust kitchen I have ever seen - the service was like clockwork, which was good as they were very busy despite the fact it was blowing a gale and pouring down. And speaking of terrible weather; I feel a bit sorry for the National Trust properties that I visit on cold, grey January days. I know that they probably look really different in June. However, it can work to their advantage, as after 20 minutes of trudging about being cold I tend to fall on a cup of tea and scone as if I haven't eaten in three weeks. Morden Hall Park scored top marks last January on a cold, grey day and although they totally deserved those marks, me being very cold did not hurt their case at all. So onwards and upwards to the next exciting visit in two weeks' time! have you been to Leith Hill Place? they have scones!